In the beginning phase of your naturally curly hair journey, you might have found yourself wondering if certain things are really worth shelling out the big bucks for a salon service versus the best affordable at-home options. While the answer may not be the same for every unique hair type, there are some general guidelines to follow when choosing which is best for your own hair. Box color is not the same as it used to be. Nowadays it is easy to find options that add depth of color as well as long lasting results--in the comfort of your own home. However, it is important to consider that if you do this for yourself, you will have to take extra precautions in order to prevent any permanent unwanted mess in the bathroom (or on your ears). While it is tempting to want to pay someone else to hold the blow-dryer for you when doing a blowout, it really is something that you can do at home with salon-quality results. To give yourself a blowout, pick up a good heat protectant and a quality round brush to make sure your hair will last for days on end. It seems like extensions have been all the rage lately in the beauty scene, and now salon-quality ones are more accessible than ever. Although some clip-ins require daily maintenance, the ease of doing the install compared to a sew-in weave makes it worth it a splurge on a nice set for yourself rather than spending that extra money every other month to get them done professionally. In the naturally curly community there are many different feelings on whether or not cutting hair at home will give you the same results as a professional. Since a proper curly haircut is the foundation for how your hair will style in a wash and go, it is important to have it done well in order for you to get your best curls. And it is okay to be picky when choosing a hair stylist; ask a lot of questions and make sure you know what you are getting before it is done. While all-over color is something that can pretty easily be done at home, highlights don't necessarily fall into the same category. Since you have to carefully choose the placement of your highlights, it is best to save this for a salon professional. They will make sure the color development is correct too. Another thing that is best left to the professionals is a chemical perm. If you are unsure of what you are doing you can do some serious damage to your hair by trying to do an at home perm, you may end up paying more trying to fix it than if you had just gone to the salon originally. When looking for a salon it’s important to make sure you find one that is good for you and your hair texture to make sure you get the best results possible, luckily there are lots of resources for you to utilize to make sure you find the stylist that is right for you. 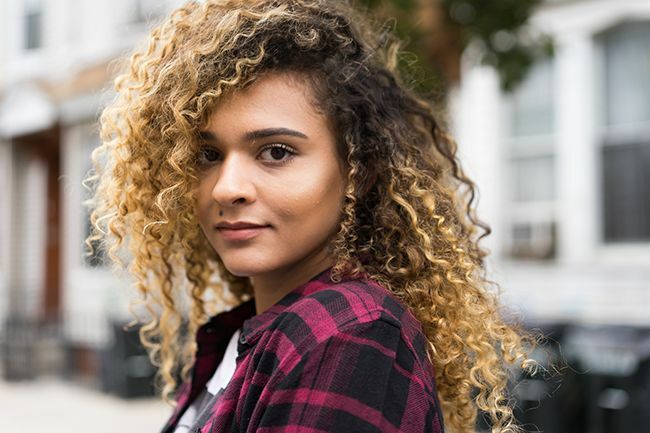 NaturallyCurly Salon Finder: Here, you can search by city or state to find a curly hair salon near you and salons can be rated and reviewed based on others experiences. Yelp: By searching Yelp for curly stylists, you can find a pro who may have residence at a salon that is not curly-specific. You can also view before and after photos, which is helpful. DevaCurl: If you want to specifically find a DevaCurl trained or inspired stylist you can go straight to their website with contact infor for all of the qualified stylists in your area.